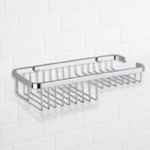 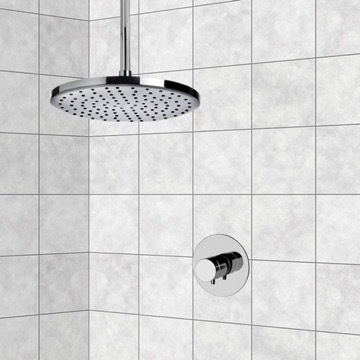 Contemporary style three-piece shower set by Remer Rubinetterie. 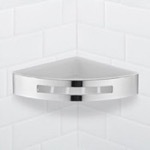 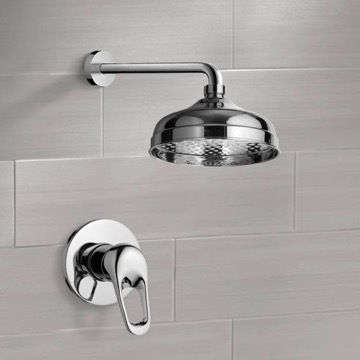 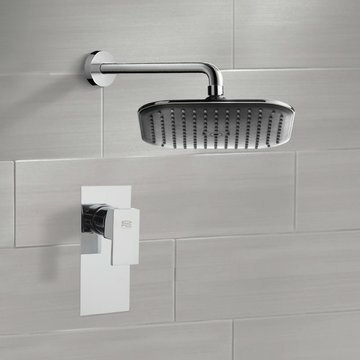 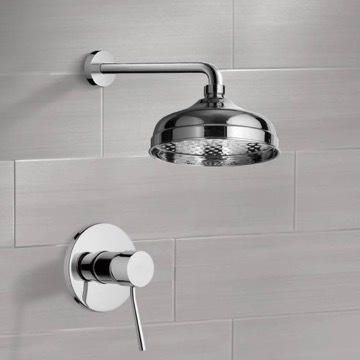 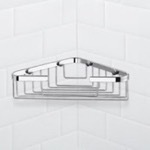 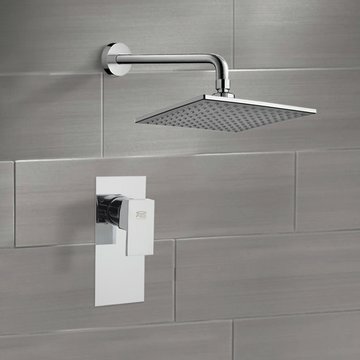 This shower set features a squared, rain style showerhead with a curved shower arm, single lever wall mount diverter and included rough-in valve piece to aid you in the installation of this chrome finished shower set. 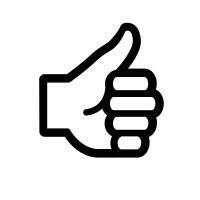 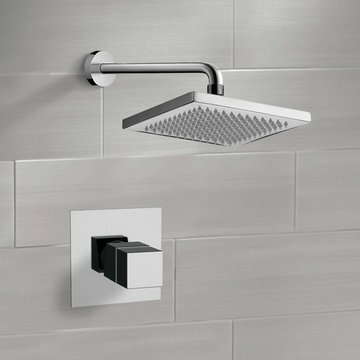 All Remer products are designed and crafted in Italy. 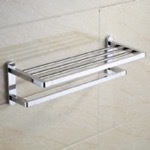 I haven't used it yet, but it's made of quality materials and I love it. 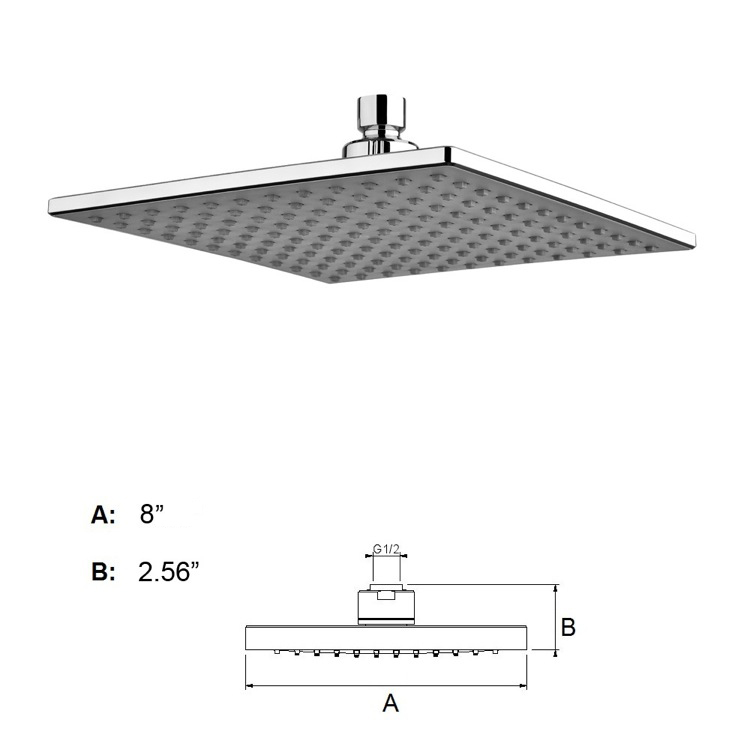 Our new home will be ready in the spring. 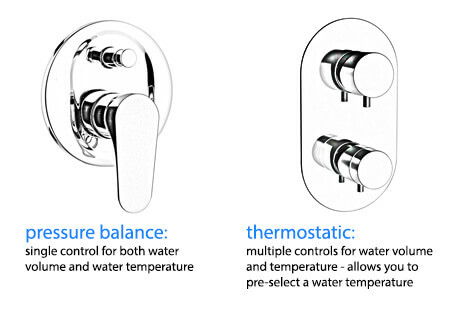 is there a adjustable faucet to control hot and cold pull type? 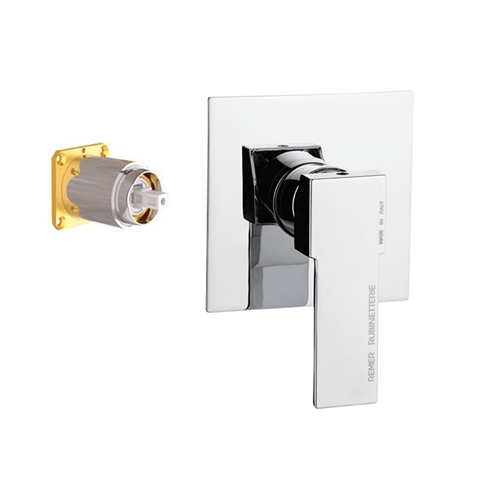 The diverter in this set will control the hot and cold water flow, as well as on/off. 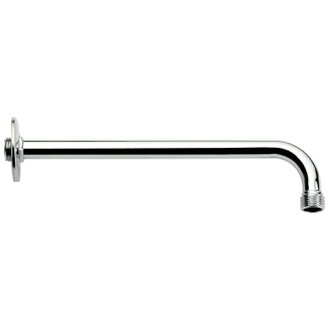 If you would like a matching sink faucet to match the diverter in this set, we do recommend the Remer Q11. 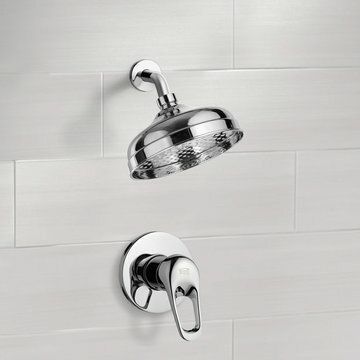 Does this set come in brushed nickel? 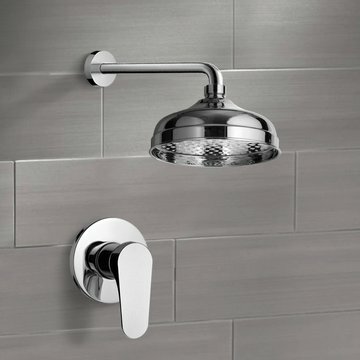 Unfortunately, this set is not available in brushed nickel. 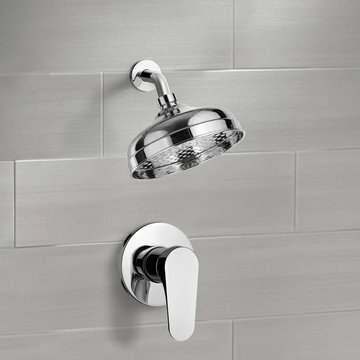 However, you can create a similar set with the following brushed nickel items: Remer Q30US, Remer 343-30US, Remer 359SS. 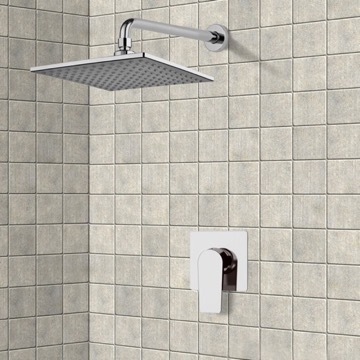 Yes, this product includes the trim and rough in valve. 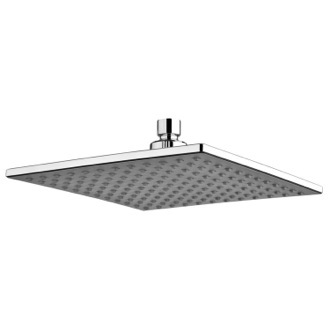 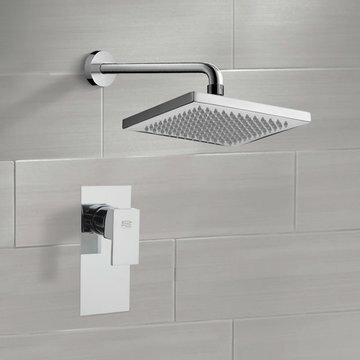 Is the shower head adjustable for the angle? 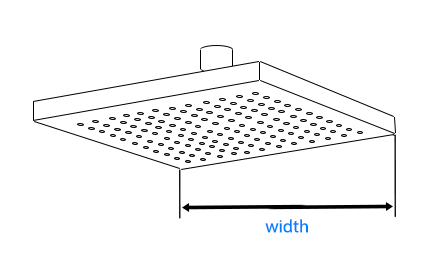 Or does it only come straight down? 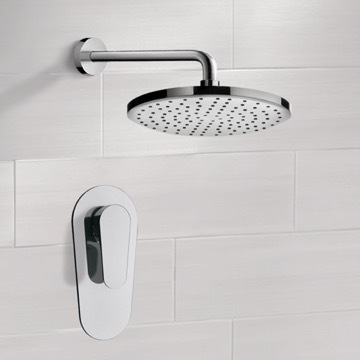 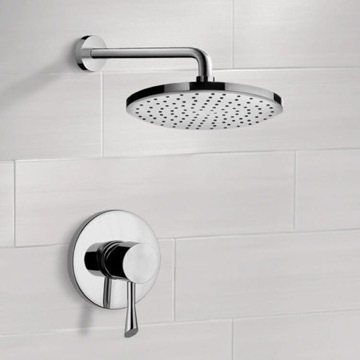 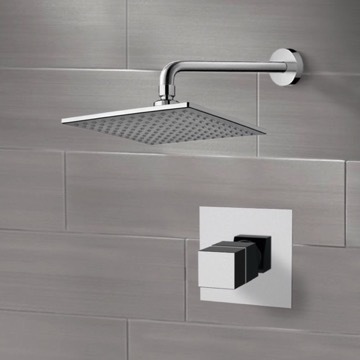 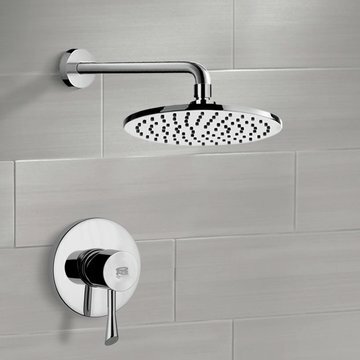 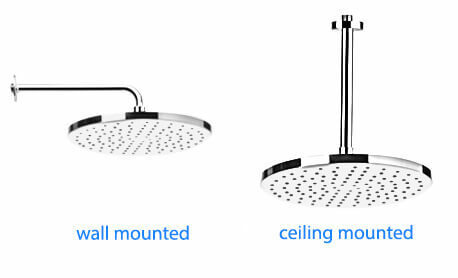 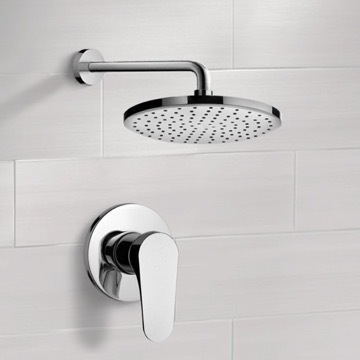 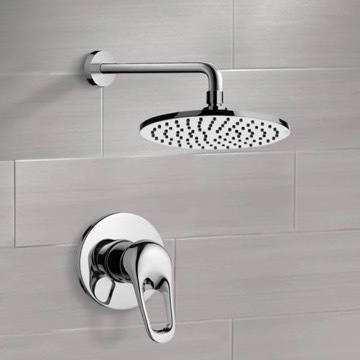 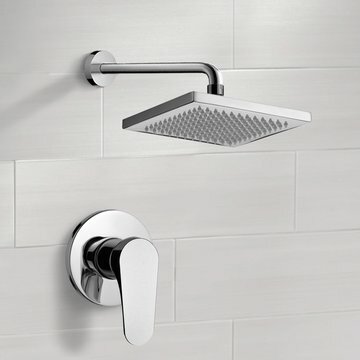 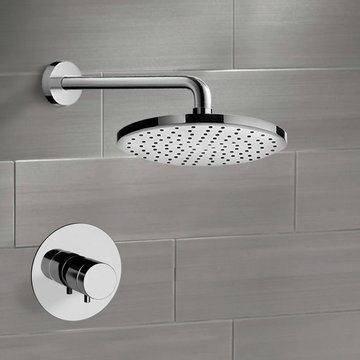 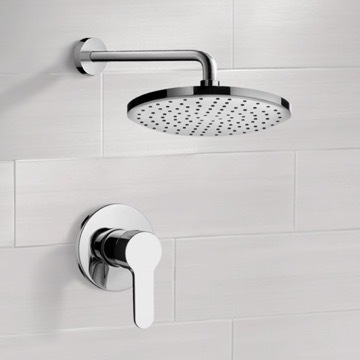 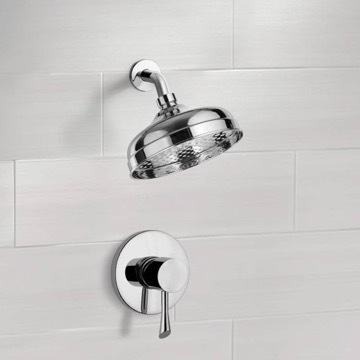 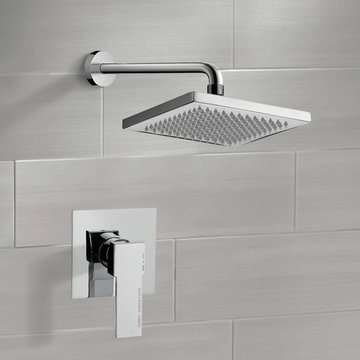 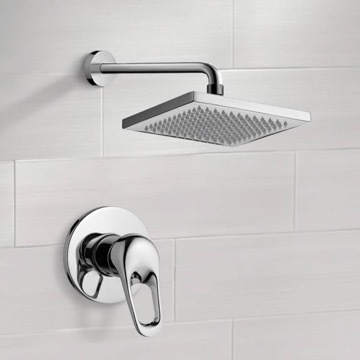 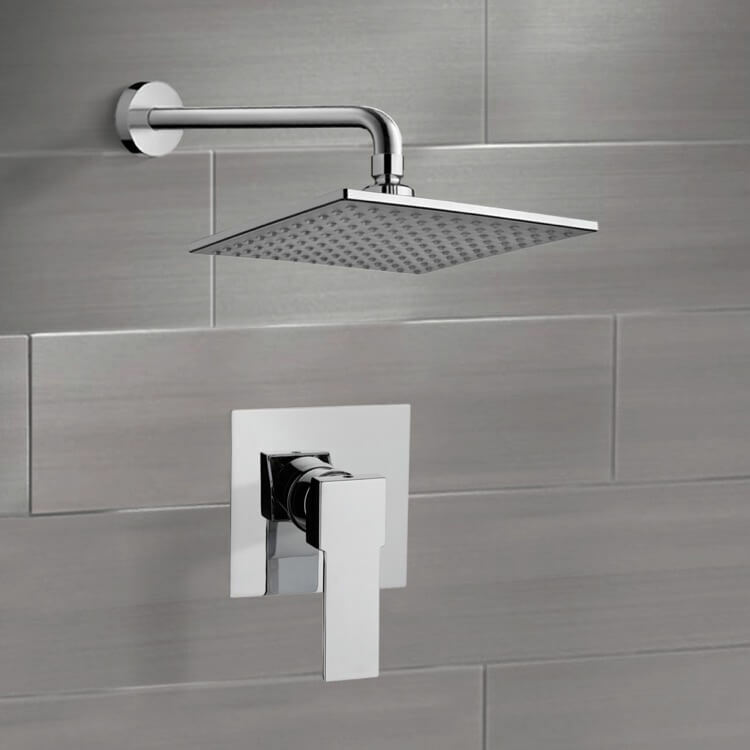 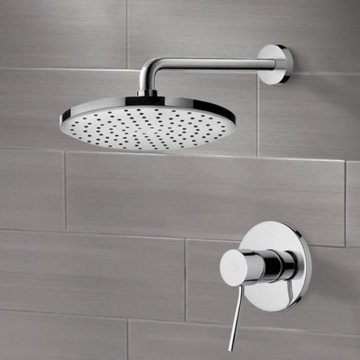 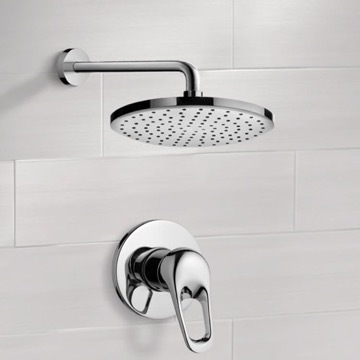 The shower head will have a ball joint connecting it to the shower arm so you will be able to tilt the shower head.